■Silver Pigeon C21 is based on a crape myrtle over, Inc. Since the details of the Silver Pigeon C21 did not come out at all on the net will introduce here. Named Silver Pigeon is probably many people who know somehow if you like vintage bike. Refer to the appearance first. It is It is very square the second half of the body. It is the style of the original, such as the now Yamaha box. Bike-making at that time, engineers were making the fighter during the war, there is a flow that was later on the bike making after the end of the war. Speaking of fighter “Zero Fighter” is she is famous in Japan. Is a high-performance fighter which has been subjected to weight reduction. There is a story that shed tears with. The reason is that it was caused by “thing is not.” Since any rate, such that after the war. Place the spot on the C21 through the C11, C25 than its predecessor with such a sad story. Crape myrtle over? ? ? I feel that, you handed down really. Crape myrtle over (Salsbury) is an American motorcycle manufacturer. 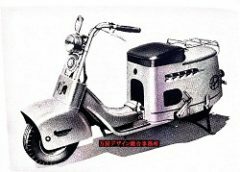 Japanese automobile, motorcycle making of this at the time, had been modeled on the United States or Germany, it has become a Paku’ which was flowing or rather. The Silver Pigeon C21 also is why that was the motif of the crape myrtle over the company of the scooter of the United States as examples. The crape myrtle over scooter, looks like. How Yu thing Ya I image is larger than the Silver Pigeon! It is a rare Tsukko likely, but that kind of thing. Photos of Silver Pigeon C21 There is no. It is a phantom. Three models of the above would be a model difference because often see the shape is different. However, D-type inlet of the side cover is I have been Future! What it is intended for forced air cooling? Front fender of the crape myrtle over, but is downright spacey design with integral, I Silver Pigeon C21 is a highly original shape. By the way did not touch the topic of the manufacturer of Silver Pigeon C21 up to here, but the manufacturer is the middle Japan Heavy Industries Co., Ltd., Nagoya Works. This is and say something, has become a current of Mitsubishi Heavy Industries. So, Mitsubishi had been manufacturing the Silver Pigeon. Too there is no material also, there is no record of the Toka highest speed was many kilometers. So let’s slowly imagine also seen in the specifications table. It can be seen for the time being is that you are not only output 3PS in the 150cc. Moreover, quite a low-speed setting I 3,800rpm. And it will also be concerned about that compression is only 5.0. It might be nonsense, but you try compared Honda PCX150 and is the current 150cc. Output is 14PS / 8,500rpm, compression is 10.6. I There is a world of difference. Silver Pigeon C21 vehicle weight is break even and the PCX150 129kg. N Well, 3PS is 3PS So, I think you mean the acceleration of the turnip average? By all means it is what I want to worship that ran with the naked eye!